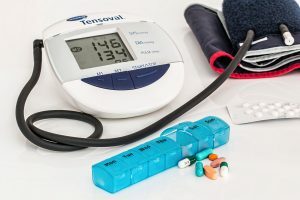 Earlier this month, Mylan Pharmaceuticals announced a recall of three blood pressure medications that were found to contain small amounts of a substance believed to cause cancer. The drugs all include a medication called “valsartan” which has been the subject of an ongoing FDA investigation. Mylan, a generic drug company, recalled three medications it has sold: valsartan tablets, and two other tablets that combine valsartan with amlodipine and hydrochlorothiazide. Mylan’s recall is the latest in a series of recalls that began in July. On December 11th, the FDA stated in a press release that it had sent a warning letter to the Chinese manufacturer of valsartan, ZHP, informing them that they are subject to an ongoing investigation due to customer complaints from 2016 and June of 2018. The FDA noted in its letter that batches of valsartan from their facility contained an ingredient that is internationally categorized as a probable carcinogen. The FDA went on to state that ZHP has failed to address and resolve these concerns, and thus concluded that the issue reveals “a disturbing lack of oversight” in ZHP’s manufacturing processes. You may have recently seen in the news that Fulton County has sued the opioid industry, following in the footsteps of more than 800 cities and counties that have filed suit. Since filing, more than 70 other cities and counties have filed similar suits. 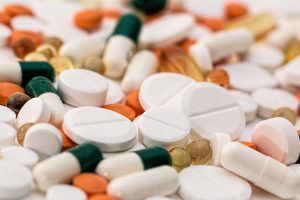 The theory of these cases is simple – pharmaceutical companies sold these drugs to consumers knowing that there was a very dangerous likelihood of crippling addiction. These cases serve as important reminders that the pharmaceutical companies may not always have consumers’ best interests at heart. FDA-approved drugs are recalled fairly frequently. It is ultimately a profit-driven industry, with immense pressure to get to market in order to recover significant research-and-development costs. Studies and testing get curtailed, concerns over side effects are pushed aside, and dangers get downplayed. Unfortunately, consumers ultimately pay for the industry’s greed. If you or someone you love has been suffering as a result of their medication, you need a lawyer who can help you get some answers and put your life back together.